In 1964, Poitier became the first Bahamian to win an Academy Award for Best Actor, for his role in Lilies of the Field. 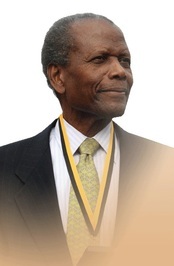 Poitier was awarded the Presidential Medal of Freedom in 2009. Is this you? Let us know. If not, help out and invite Sidney to Goodreads.